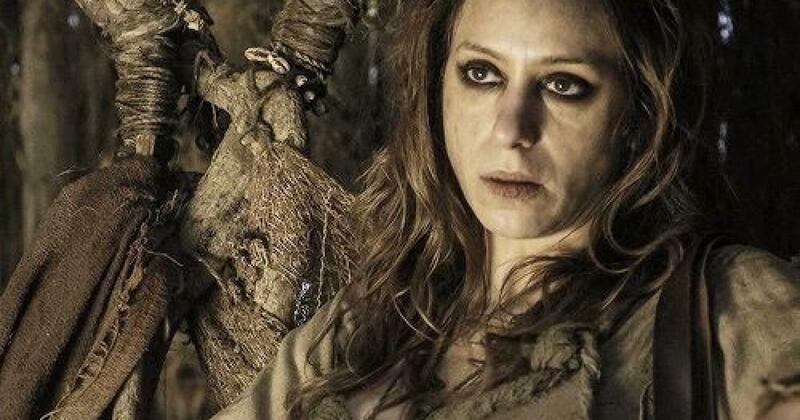 That was the first flashback for Game of Thrones, but certainly not the first appearance of prophecy of some form or another in the show’s history. Rickon Stark had dreams of doom regarding his father Ned, and Bran predicted the capture of Winterfell by Theon and the Ironborn, with a largely symbolic (and therefore unhelpful) dream of the sea rising up and flooding Winterfell. 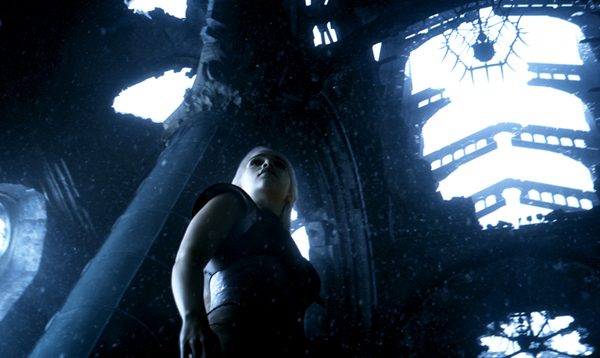 To a lesser extent, Dany had brushed up against prophecy in a sense, when trapped in the house of the Undying. Dany had thought it would be a bit more structurally sound. But the individual on the show most tied in with fortune-telling is Stannis Baratheon. Stannis fully committed to following Melisandre of Asshai’s oracular advice, particularly in Season 5. Oh Stannis. Stannis: Should I be seeing something? Melisandre: You have to wait a moment for the acid I slipped you to kick in. Melisandre: And then you go north and win a really big battle! Melisandre: Oh, and then you’ll burn some people. Stannis: And then I’ll be king? Previously, I’ve been skeptical on just how reliable Melisandre’s magical powers were. Stannis should have been a bit more skeptical as well. Or at least asked a few more questions. Stannis: So, if I sacrifice my daughter to R’hllor… the weather will improve and we’ll be able to march on Winterfell? Melisandre: I have seen this, my king. 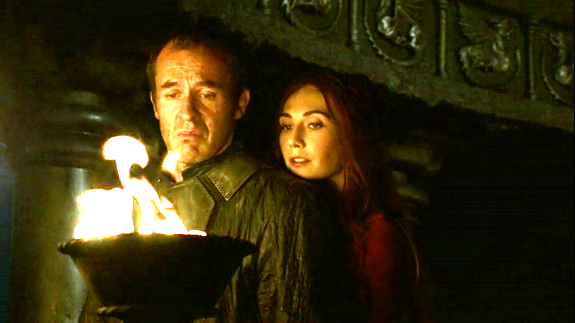 Stannis: I assume we’ll get some other miraculous support from the Lord of Light? After all, the siege weaponry and our food stores were all sabotaged. As a military man, it seems like we’ll have a very difficult siege to pull off. Melisandre: Don’t worry, your grace. In my flames, I have seen the Bolton banners lowered to the ground. Stannis: And my banners raised in victory? Melisandre: Uh, I have seen myself on the walls of Winterfell. Clearly that’s a sign of your triumph. Stannis: And I was there with you? Stannis: I mean, there could be a lot of reasons for you to see yourself up on the battlements. I’m more interested in what I’m up to. 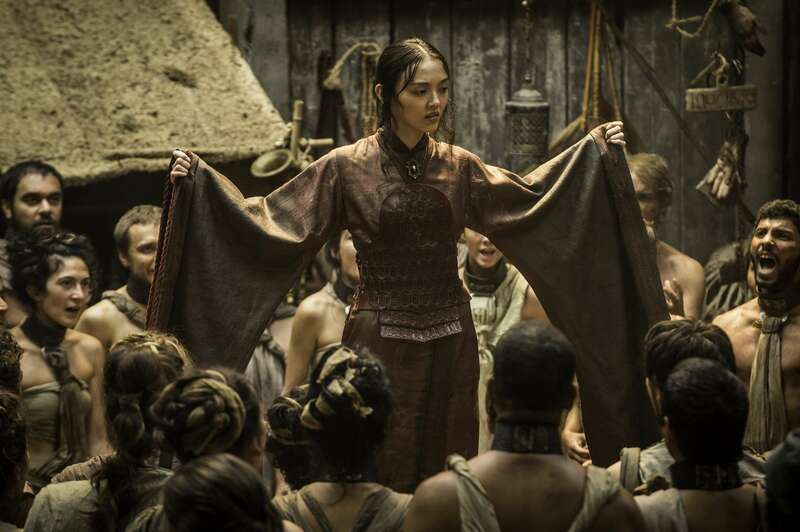 Melisandre: Oh look, my robe just fell off… what were you saying? Stannis: I forget. Must not have been important. In general, I don’t like prophecies, so I’m reasonably happy that Melisandre is pretty crappy at predicting the future. She’s pretty good at spouting generalities and then cherry picking when she’s right. Most of the other prophetic aspects on the show really don’t bother me too much. Rickon stating that none of the family were coming back might have just been his anxieties that happened to come true by coincidence. Bran has been connected with some Old Gods magic going on (which doesn’t bother me) so when the Ironborn started in on their raids, the Old Gods (knowing that Theon was heading to Winterfell) might have tried to warn Bran. But being incorporeal animistic entities, there were some things lost in translation. Old God: Damn, those worshippers of the Drowned God are marching towards Bran’s big stone house. We have to warn him. Other Old God: No problem. I’ll send him a dream. Should it be in the form of daggers, falling like rain? Or maybe flowers dying in a hot wind carrying locusts? I have to get the symbolism right. Old God: You idiot. Just make it look like a wave. Duh. I consider that something different than prophecy, since it’s more like getting a weather report. Dany has very, very specific prophecies in the books, but the show is mostly sidestepping that, which pleases me. Largely because spoken prophecies are often so much gibberish. Scene: Dany’s bedroom. Lightning crashes and a mysterious figure appears in the window. Dany: What? Are you talking to me? Did you say hemp? Are you here to sell me drugs? Dany: I’m not getting stoned with some mysterious figure! Guards! Grey Worm: Khaleesi, what is it? Okay, so why am I writing about prophecies? It’s mostly because I expect one to be heavily featured in the next season of Game of Thrones. Melisandre had been touting Stannis as Azor Ahai, this kind of savior-figure in the mythology of the Lord of Light’s religion. Or more accurately, that Stannis would be Azor Ahai reborn. 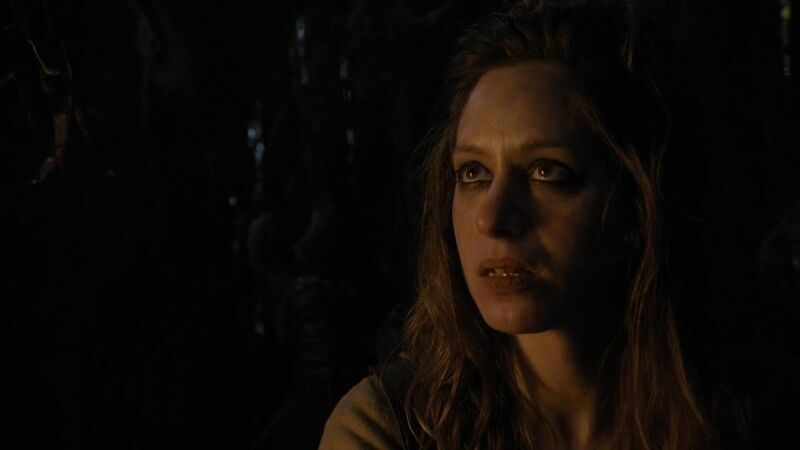 The show hasn’t gone into great detail, which is cool, and I don’t think it’ll be spoilery for me to say that if Melisandre was alleging that Stannis was Azor Ahai reborn, then there must have been a previous Azor Ahai. Someone who had saved the day and all that, and therefore got the Once and Future King Savior type of myth started. But Stannis is totally dead at the moment. (Or so we believe. There are some people who interpret our not seeing Brienne’s follow-through on her king-killing windup as proof that we’ll get more Stannis Baratheon in Season Six. But I’m going with the notion that Brienne avenged Renly.) And Melisandre realized that she’d been bucking the wrong horse. Since she came back to Castle Black, in time for Jon Snow (who she’s had her eye on) to be killed, there’s speculation that Melisandre will bring Jon back to life, and declare him Azor Ahai reborn. That’s cool by me, and as prophecies go, it’s of a blend that doesn’t offend me. When there are big cycles of events that happen regularly, the prediction of their re-occurrence isn’t so mystical as it is mathematical. Like the Oracle from the Matrix being able to draw on past experience of previous reboot cycles to be all, well, oracular. Like the Cylons (and possibly the humans too) in Battlestar Galactica being guided by something (I’m on record as saying it’s a very very very very very very old Cylon) that seemed to be able to predict future events. Because the Cylon-Human conflict had repeated itself over and over and over. 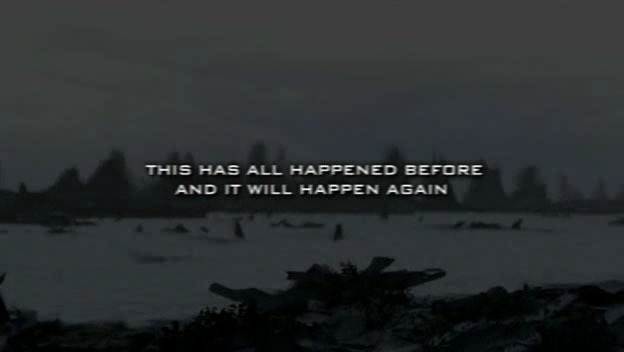 If we consider that the threat from the White Walkers is a reoccuring one, and they’ve always been beaten back or retreated at some point (like an anthropomorphized ice age) then a prophecy detailing some eventual similar threat and a corresponding foretold savior just makes sense. And the great thing is, there might be more than one candidate for Azor Ahai. While Stannis was originally Melisandre’s nominee, off in Volantis we’ve seen a red priestess praising Danerys Targaryen as Azor Ahai reborn. I’m telling you, she’s a magic blonde chick! Statistically speaking, she’s the chosen one! It’s one of the easy things about generic prophecies: if enough time passes then a condition vaguely described by the prophecy will occur, thus legitimizing the prophet. Anything that doesn’t quite fit will be hand-wavedly explained as symbolism. 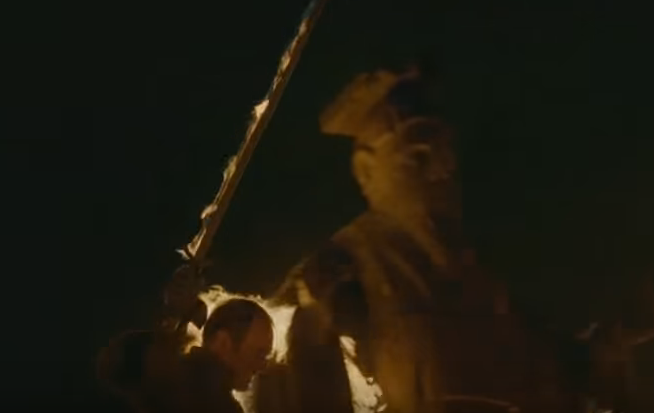 Azor Ahai and his awesome flaming sword? Jon’s Valyrian steel blade Longclaw could fit the description, metaphorically. Or the dragonfire from Dany’s dragons. The important thing for the prophecy, it just has to be right enough. So, I’m mostly cool with prophecy as presented on Game of Thrones. It doesn’t really seem like an accurate window into the future, which then makes everything muddled about free will and so on. A magical narrative bullet has been dodged. Maggy the Frog does exactly the thing that I don’t like. She gets very specific. Young Cersei: Will the king and I have children? Maggy: No. The king will have twenty children. And you will have three. Young Cersei: That doesn’t make sense. Maggy: Gold will be their crowns. And gold, their shrouds. Now, when I say it’s the kind of prophecy I don’t like, it’s not a problem with the show, it’s a problem with me. I totally admit it. I like being able to minimize things like prophecy and magic. Like my man Davos. Stannis: The usurper Robb Stark is dead. Betrayed by his bannermen. Davos: (Looking at Melisandre) And you take credit, because you dropped a leech into a fire? Melisandre: I take no credit. I have faith, and my faith has been rewarded. Davos: Your grace, the world has gotten so far bent… I’ve seen things crawl out of nightmares, but my eyes are open. I don’t know if Robb Stark died because of the red woman’s sorcery or because at war men die all the time. But I do know that uniting the Seven Kingdoms with blood magic is wrong. It is evil, and you are not an evil man! Melisandre, despite what she’s saying above, is clearly taking credit. And would do so really no matter what happened, as long as one negative thing occurred to the Starks that she could latch onto. But Maggy goes all out. Cersei will not marry Prince Rhaegar. Cersei will marry a king. They will have no children together. The king will father 20 children. I’m fine with kind of labeling the “gold will be their crowns, and gold their shrouds” as being very open to interpretation. That’s how I like my predictions. But if Maggy was just guessing the future to irritate young Cersei, that’s too crazy a coincidence. So I have to embrace that fully. Taking the prophecy at face value, it gives a certain motivating force to Cersei’s decisions. 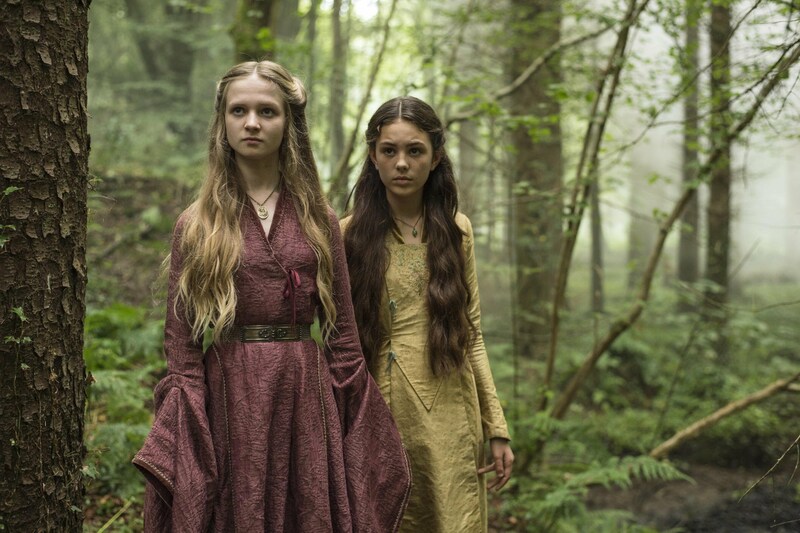 I didn’t include all of Maggy’s statements in my short dialog above, but Maggy tells young Cersei that she would be queen until a younger, more beautiful one shows up to throw her down and take away all she holds dear. The dangers of believing prophecies, they begin to justify bad decisions, or otherwise make an individual feel that they have no choice. That fate is pushing them along. This is one of the underlying premises in Shakespeare’s Macbeth, whose title character embraced the prophecy of him being king, but either dismissed or tried to avoid literally everything else said by the witches. Cersei had a chance to eject entirely from the entire situation. She felt fear for her children, but it was her need to stay in power, and therefore have them remain in the danger zone that was the problem. If only someone wise, someone clear headed and taking the long view, had offered an alternative suggestion to Cersei. Instead, Cersei stood her ground. Great advice, Cersei. Maybe you should have listened to that too. And not played. My issue with prophecy being too much a reliable thing: it kind of takes away from the drama of the choices characters make. 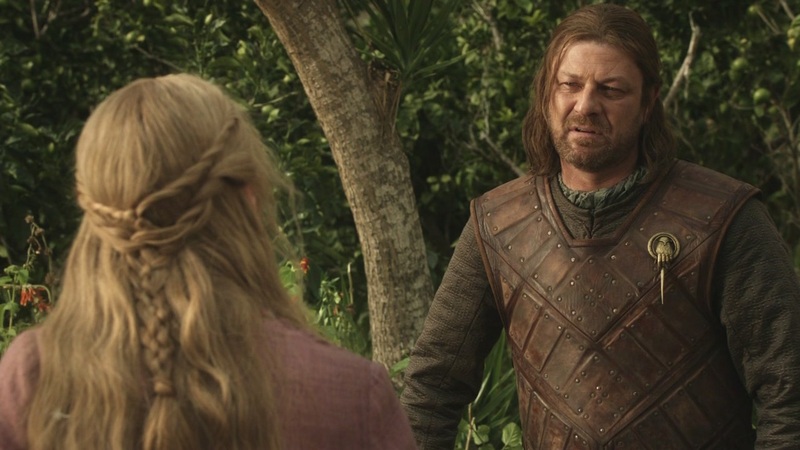 Ned gets a lot of heat for laying his cards out for Cersei in the hopes of saving her children. (I say he made a rational move, but I’ve debated that elsewhere.) But since he’s not the younger more-beautiful queen to replace Cersei and throw down all she holds dear, his decisions might not have mattered. Likewise, knowing what we know now, Cersei should have taken the deal and gotten the heck out of Dodge (or King’s Landing) if she wanted to maximize the chances of her children living, since Joffrey and Myrcella were doomed thanks to political maneuverings if she stayed. But if the prophecy matters, she was bound to stay. So I just don’t want to believe in prophecies. It’s more interesting if things aren’t predestined. Okay, Season Six is almost here. (It would have probably aired over the weekend if HBO hadn’t delayed the premiere by three weeks… grumble, grumble) We’ll see if new prophecies are made, old prophecies come true, etc. Since this season will feature at least some new material, and the show runners have not been afraid to deviate from what’s canon in the books, a show watcher’s guess on what might happen isn’t all that less valid than a book reader’s informed opinion. Everyone’s pretty much on an even playing field. Maggy’s guesses will be totally on point. She’s read all the leaked scripts. But I predict the book readers will still find things to get mad about. This has happened before, and it will happen again. Interesting piece Patrick, enjoyable read. Iwan Rheon is utterly fantastic in his portrayal of Ramsey. Completely agree! That actor is excellent. But ugh! Ramsay! He can’t die soon enough! Very true. I thought I hated Joffrey, but bloody hell Ramsey makes my blood boil. We interviewed Charlotte Hope, and she said he was fantastic to work with. Ah, the lovely and scary Myranda, right? Rheon (Rheon, Rheon, it rhymes with Theon) by all accounts that I’ve heard, is a great guy. Such a fantastic cast on that show. Thumbs up to you, on all of the interviews you get for your site. I’m glad you followed me too! I like prophecies. They keep us guessing and remind of the old adage “A riddle wrapped in a mystery inside an enigma”. Or Frodo and Gandalf with the Elven Runes over the Doors of Durin in Moria. “Speak Friend and Enter”. Sometimes it’s right in your face and you just can’t see it. But it makes sense when all is revealed. I’m fine with riddles, but my complaints usually are more on the predestination that prophecy implies. Although I do enjoy with a certain satisfaction when some clown gets a prophecy that he doesn’t want from the Oracle of Delphi, and does all kinds of awful things to try and forestall that fate, and actually engineers it happening. Hmm, strange. Had some probs with my net yesterday .. anyway, I’ve re-published to be sure. Can you find it now? I did find your post, Joanna! I left a brief comment, but when I get a chance I’ll leave more substantial feedback. Loved the humor you added to this too, btw. You’re so right about how prophecy can be misinterpreted, and then blammo. Like Macbeth blowing off the whole “Burnham wood coming to Dunsany” because that couldn’t happen, or the only person who could kill him would be a man of no woman born “I’m totes unkillable” Macbeth thought. Nope. Thank you so much! I appreciate the feedback, and I’m right there with you on the decrementing count until the premiere. For me, as soon as Walking Dead finishes, my focus shifts to GoT !